Charity Navigator, America's largest and most-utilized independent evaluator of charities, has awarded the Rheumatology Research Foundation with its ninth consecutive 4-star rating. The prestigious 4-star rating is the highest possible rating given and is based on good governance, sound fiscal management and commitment to accountability and transparency. “The Rheumatology Research Foundation is proud to receive this exceptional designation from Charity Navigator. It reflects our dedication to ensuring that every donation goes directly toward research and training programs that advance the field of rheumatology and ultimately, benefit millions of patients in the U.S. living with rheumatic diseases," Mary Wheatley, executive director of the Foundation remarked. 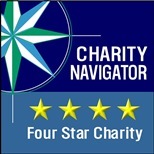 Charity Navigator is the largest charity evaluator in the U.S. and its website attracts more visitors than all other charity rating groups combined. The organization helps guide intelligent giving by evaluating the Financial Health and Accountability & Transparency of more than 8,000 charities. Charity Navigator accepts no advertising or donations from the organizations it evaluates, ensuring unbiased evaluations, nor does it charge the public for this trusted data. The Foundation has committed millions of dollars directly to rheumatology research and training programs. Watch our new video to learn how the Foundation works to advance the rheumatology and how supporting the Foundation directly benefits patients living with rheumatic diseases. New Year’s is the perfect time to reflect and congratulate yourself on all you’ve achieved this year. It can also be a time to set new goals. For some patients living with rheumatic disease, setting goals for the year ahead – and beyond –means considering how to improve their quality of life and live the best life possible. Resolutions are tricky when you live with a chronic condition like arthritis. Share some of the resolutions your making this year with us on Twitter using #Rheumlife. Whether it’s to take better care of yourself, to be more patient with yourself or those around or to just take a moment to enjoy the good things in life, they’re all perfect resolutions.